GoPro to Go Up Against Sony? Here’s the third installment of our NAB 2012 wrap up, a ‘slow news’ approach that allows us to ponder what we captured at the show and pair it with developing news later on. Sometimes a go-slow approach can deliver insight to fast paced technology news, especially when other news later on adds depth to one announcement. For example, we pair our show floor video about a breakthrough capability from GoPro with the just announced news that Sony has jumped into the action-camera market, and will soon release its own camera to directly take on leader GoPro. In our video, GoPro’s senior software engineer Tim Bucklin walks us through the upcoming ProTune’s firmware upgrade which will turn the popular, simple-to-use GoPro Hero2 video camera into one capable of 24p, a zippy 35Mbps recording mode, offer up a non-destructive 3D LUT (look up table) and more. Technicolor, which occupied a booth near GoPro, gave its blessings to the move to such improved capabilities since it will allow the GoPro camera to take advantage of Technicolor’s CineLights app. Demo’d in GoPro’s booth by Bucklin, the $99 app launches later in the summer. CineLights delivers quick and easy three-way primary color correction and color grading. All this new capability stems directly from the Half Moon Bay, Cal-based company’s acquisition of Cineform this past year. Cineform had developed a good rep for its codecs and other software that a number of camera and NLE makers embraced. By adding folks from Cineform to its staff, GoPro looks to bust out of its sports cam ghetto by a serious move into the higher realms of camera technology. Sony’s soon-to-release “action cam” takes on leader GoPro. 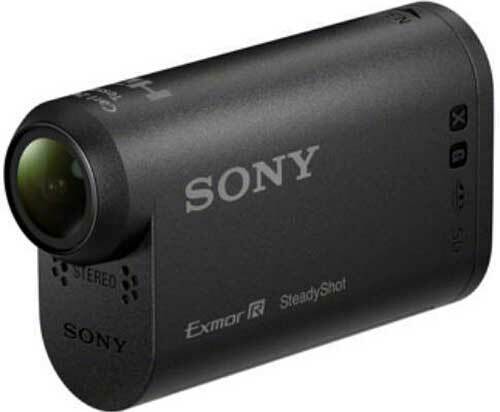 That move might have come just in time, since just this past week Sony announced its own micro-POV “action camera” (that’s all the name that Sony uses for it at the moment). The Sony form factor, down to its element-proof, mountable housing, shows that the Japanese company will be taking on GoPro directly. That shouldn’t be too much a surprise; when Sony recently announced a major reorganization, cameras were spotted as one of only three business units it will keep. Sony’s camera will use its well-regarded Exmor CMOS sensor along with a wide-angle Carl Zeiss Tessar lens and SteadyShot stabilization. That’s some serious competition. But GoPro’s move into applying pro-level software to boost its camera systems might be its key to staying relevant. It’s an old story by now, but Japanese video product companies—Sony included—have been weak when it comes to creating great software. We’ll be watching to see just how this develops. 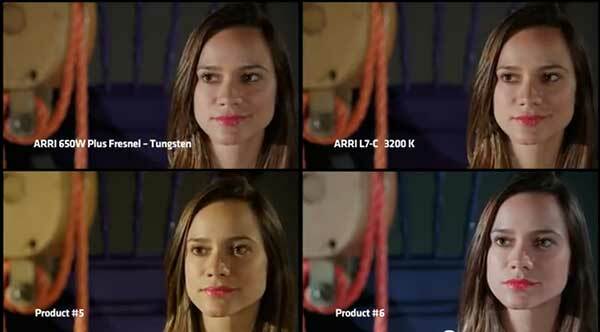 Is ARRI’s L7 LED Lighting Betterthan Competitors? Arri has posted an interesting lighting test on its YouTube channel. The setup offers a quad-screen look, comparing this high-end lighting system to the standard—tungsten—as well as LED rigs from unnamed competitors. An Arri Alexa was used to capture the model before a colorful background. If you accept that the test isn’t rigged in some way, the look of the L7’s Fresnel does make it the closest to what we’ve come to regard as traditional lighting for interiors. But since Fresnel-based lights do deliver a look we’ve come to expect as that of a true professional production, it’s not clear what we’re really seeing. Do any of the other rigs employ a Fresnel, or is Arri comparing a Fresnel’d light with open-face units? What do you think?